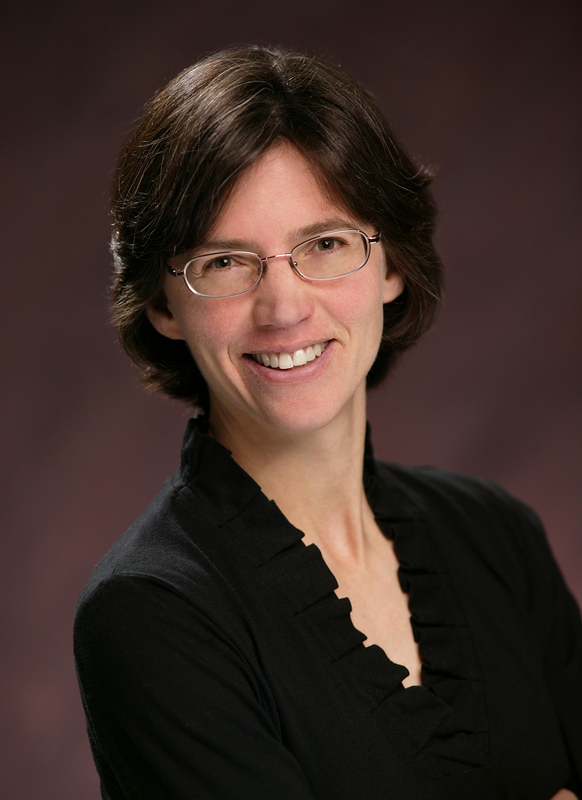 Today, I have very special guest–Heather Shumaker, mom and author of It’s OK NOT to Share (Penguin/Tarcher, 2013). This brand-new parenting book just hit the shelves this spring and is ranked #3 by Parents Magazine. Heather and I met at the University of Wisconsin’s Writer’s Institute this past April. Right away, I knew her message would resonate with me. And then she graciously agreed to participate in an interview. Heather S.: Ah, thank you. I developed my tone by working with a team of test readers. Before the book was published, I gathered a group of willing parents with young children (and grandparents and preschool teachers). I asked them directly if my style was too preachy or boring or confusing – and they told me! I am trying to write to you as a friend and as an intelligent, caring reader. L2: IT’S OK NOT TO SHARE is mostly inspired by two things: the fact that you couldn’t find a suitable preschool for your own children, 5 year old Zach and 8 year old Myles, and you had fond memories of your alma mater, the School for Young Children (located in Columbus, OH). Can you tell us a little more about your process of writing from conception to birth [of book]? Heather S.: For years I waited for teachers at the School for Young Children (SYC) to write a book about their program. It’s so unique – for instance, they give kids mini boxing gloves and allow them to stage wrestling matches and other roughhousing games in the classroom. The teachers there are a devoted group of child professionals, but they’re not writers. I was able to be the messenger and share the wonder of their philosophy. I started by interviewing teachers at SYC and deciding which elements of their program were unique (boxing) and which were universal (kids eat a snack). I chose the topics based on the unusual aspects, the tricky areas of parenting which are controversial or unfamiliar. Topics like social rejection, weapon play, physical risk-taking, play, artistic expression, sharing and long turns. It’s all based on child development and all backed up with 40 years’ of success. L2: Can you share, too how you managed to complete such a wonderful volume of work while raising your kiddos? Heather S.: Plus paid childcare. I worked part-time on the book so I really had to buckle down and work when the daycare clock was ticking. 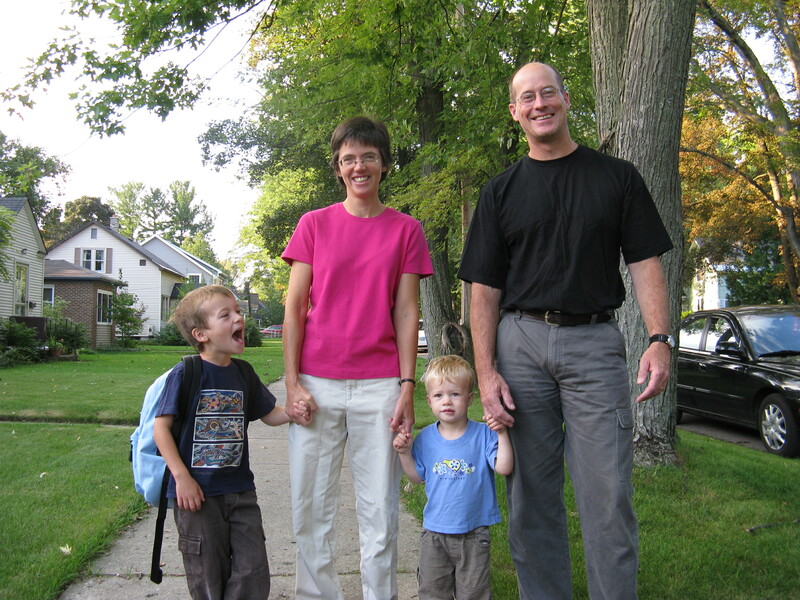 My kids often provided inspiring quotes or anecdotes, so that was helpful, but as every parent knows, work and raising kids don’t mix easily. Some days I got up at 4am to meet my chapter deadlines. L2: Do you think the style of parenting varies from region to region? For example, are Midwest parenting philosophies similar or different from say, those in New York City or San Francisco versus Santa Fe or New Orleans? Heather S.: Family culture varies tremendously, even within a region. Parents in New York City feel parenting pressure perhaps more intensely than other parents, but there is a wide mix of parenting styles. What seems to be a growing trend in the US – no matter where you live – is a fear of childhood. Fear that children’s play isn’t safe or kind enough, fear of what other parents will say, fear that we’re not preparing kids for the tough academics in kindergarten. It’s not in every family, but many adults are trying to fill childhood’s empty days and accelerate stages of development. L2: Renegade Rules are a cornerstone of IT’S OK NOT TO SHARE, can you tell us what you think the most important Renegade Rule is and why? Heather S.: The book shares 29 renegade rules, but the overarching rule is what I call the Renegade Golden Rule: “It’s OK if it’s not hurting people or property.” This helps you know when to set a limit on a child’s behavior and when to relax and find a way to allow their play. Finding the right balance in setting limits is the key to parenting. L2: While the book is mostly geared towards younger children (ages 3-6 years), what—or how—can parents adapt your philosophies to fit older children, or even teenagers? Maybe that’s a whole other book?! I haven’t found an upper age-limit. My neighbor uses the book’s techniques on her college-aged children. Others use them on their spouses. Many ideas are basic ones about conflict mediation, communication and healthy emotional expression – ideas that can apply to all ages. L2: Speaking of which, can we expect to see more from you in the future? Heather S.: More books are in the works – though the one I’m working on right now is fiction. A ghost story for 8-12 year olds. Thank you, thank you Heather! Much informative and insightful! You don’t really want to let this great parenting book slip through your hands, do you? I didn’t think so! To enter the drawing for a complimentary copy of IT’s OK NOT TO SHARE, all you need to do is comment on the blog or drop me a line at leslie_lindsay@hotmail.com. A random name will be drawn Monday, May 20th by 5pm. You will be contacted by email if you are the winner. Open to U.S. residents only. Good luck! 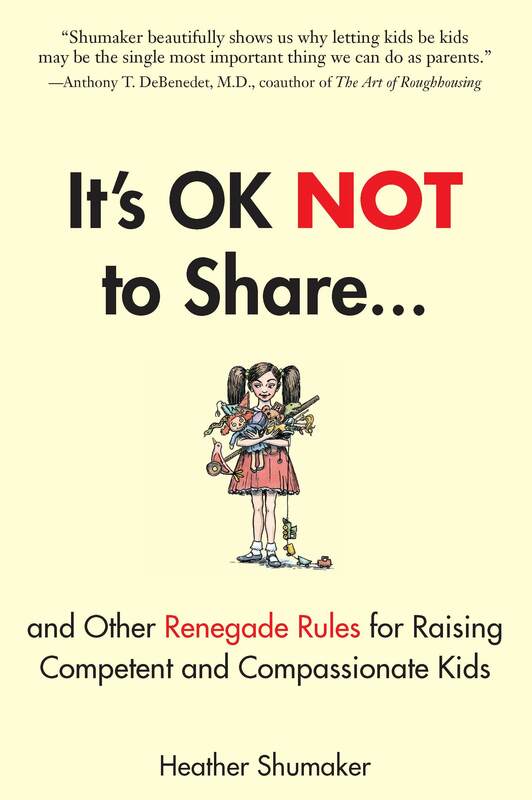 Bio – Heather Shumaker is the author of It’s OK Not to Share…and Other Renegade Rules for Raising Competent and Compassionate Kids (Tarcher/ Penguin, 2012), named one of the Best Parenting Books of 2012 by Parents magazine. You can learn more, watch videos and read a free sample chapter at www.heathershumaker.com. Well, if I don’t win it I will look into buying it! New concepts for work and my own stinker boys are always wonderful 🙂 Thanks for sharing Leslie! Wonderful! I will add your name to the drawing! Thanks for your interest and good luck! !